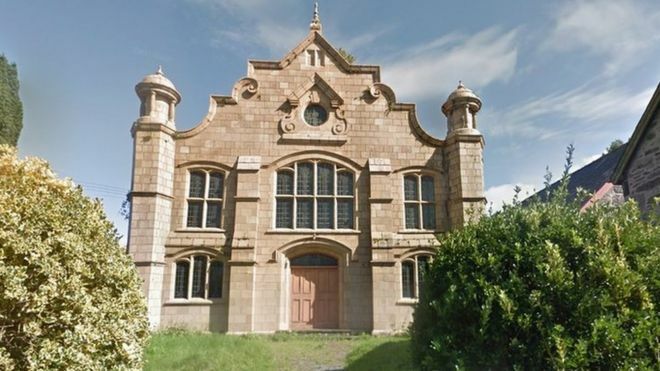 A historic rural chapel could be turned into a mosque. The Grade II listed Moriah Methodist chapel in Llanbedr, near Harlech, was originally built in 1856 but the present structure dates back to 1913. Plans have been submitted to Snowdonia National Park Authority by the Jamia Almaarif Mosque and Meditation Centre. Dan Morris, whose father Griffith was one of the architects in 1913, said he would have been “very pleased” to see it continue as a place of worship. The chapel, listed for its “richly detailed” Art Nouveau entrance and original interior, had been on the market for £250,000 having been closed for many years. Mr Morris told the Local Democracy Reporting Service it was a striking building which “fits into its surroundings”. Llanbedr community councillor Gruffydd Price said parking was a concern in the village. But he said he had been assured the building would only be used occasionally, with visitors travelling there by train and minibus. “It’s always been a place of worship and that’s the intention going forward – it’s not really suited to be changed into much else,” he said. The park authority is expected to consider the application over the coming months. Many chapels have been turned into mosques in other parts of Wales, but this would be the first such conversion in Gwynedd. A converted town house in Bangor is currently the only mosque in the county. According to the 2011 Census, 1,378 people in Gwynedd described their religion as Islam – around 1% of the total population of the county. No-one in the Llanbedr ward identified themselves as Muslim. The London-based applicant has been asked to comment.